New State of the art lock step design provides exceptional safety by automatically dropping the ladder to the climbing position with it's feet firmly on the floor when weight is applied to the stair section. 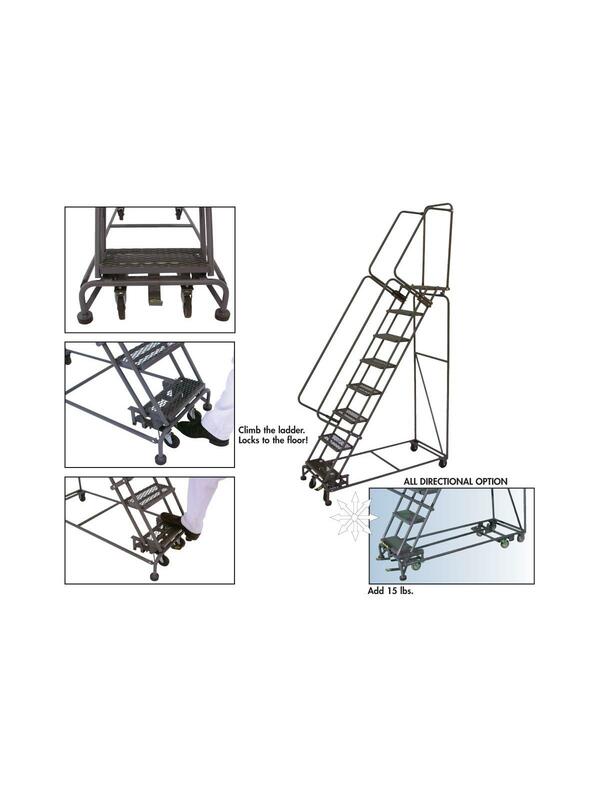 Easy to use, a single pedal raises the ladder to the rolling position and the users weight automatically locks the ladder to the floor for climbing. Durable: this next generation lock step has been robotically tested, cycling over 60,000 times. 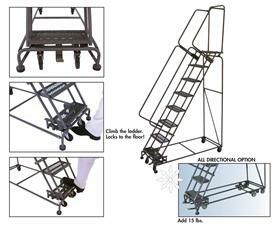 14" Deep Top Step Ladders have options to ship in a box to reduce freight expense and the risk of Shipping damage. 21" and 28" DTS ship in a box. Features Comfortable 14" Deep Top Step and 7"D intermediate steps. Durable, manufactured with 1"OD tubing and tough powder coat gray finish. Compliance: OSHA 1910.29 and ANSI 14.7. Tread available in: (R) Abrasive Mat, (X) Expanded Metal, (G) Grip-Strut, (P) Perforated. Ships standard KD. FOB Shipping Point. 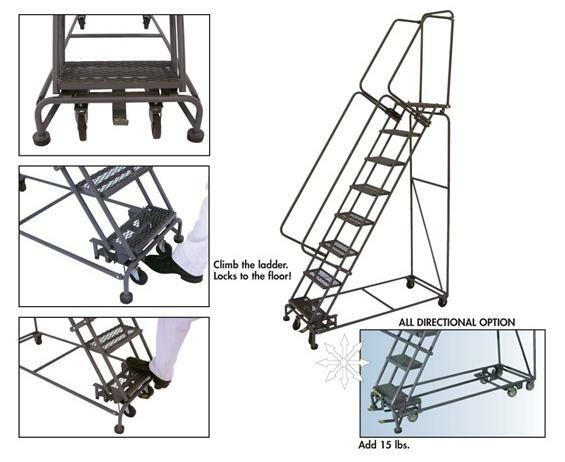 See Related Items tab for Options for Weight-Actuated Ladders. Not all options available on all part numbers.